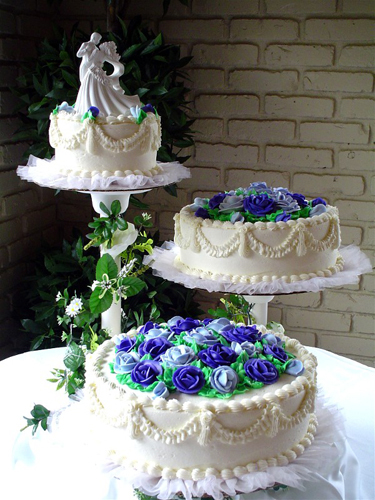 A wedding event is composed of the preparations on the wedding day, the ceremony itself and the reception afterward. It is now time for the bride and groom to share their new marital status with all the invited guests. Everyone around you may be in a celebratory mood, but keep in mind you still have a job to do to capture and record the happenings during the wedding reception. Although this doesn’t mean you can’t have fun while you’re working. 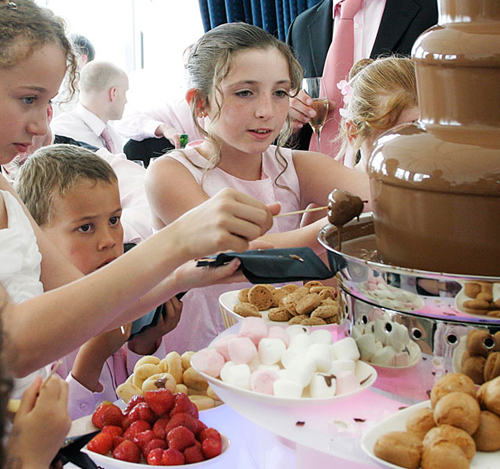 Here are some great tips on getting great and memorable shots at a wedding reception. 1. 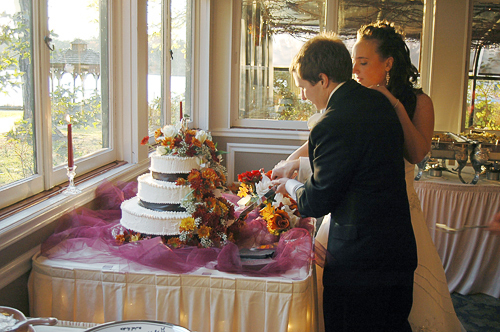 Familiarize yourself with the wedding reception location before the actual event. This will get you acquainted with possible lighting issues you may encounter so you can bring the necessary lighting equipment you may need. This will also give you an opportunity to pinpoint certain spots to position the bride and groom for posed shots. You can get your creative juices going for angles and also where to position yourself when photographing the bride and groom. 2. Get all the common ‘must have’ shots. One is the bride and groom’s first dance. Use the burst mode of your camera to capture a sequence of shots that shows the energy and emotion of the newlyweds as they dance. To add to the list is the father dancing with the bride as well as the mother dancing with the groom. Another ‘must have’ shot is the cutting and eating of the cake by the bride and groom. 3. In covering the reception, include all major players in the wedding such as the entourage, the maid of honor, the bridesmaids and the best man. Refer to your shot list of the special people that you must have photos of. 4. Be prepared for unexpected problems that may arise. Pack an extra camera body, make sure your batteries are fully charged, that you have enough memory cards, lenses and lighting equipment. Also consider the changes in weather conditions and bring back-up gear for that as well. 5. Be aggressive and confident but not intrusive. It is common to have a photographer covering all the intimate scenes at a wedding and it is surprising that most of the time, they are considered part of the scene. Remember that you were hired for the purpose of recording this special occasion and don’t be shy to gain prime positions or squeeze yourself in between guests and even family members to capture rare shots. 6. Do not delete shots that you think didn’t come out good enough. With the advent of digital photography, you can recover images that appear over or underexposed. Post processing nowadays can make bland shots amazing so don’t rely on the camera preview to decide whether to keep an image or not. 7. Take advantage of the reception décor. The reception area will be full of decorations such as flowers, candles and balloons. Use these as props or as part of background interest to spice up your shots. 8. Include close up shots of the food and the table setting before the guests start to eat, the wedding cake, the souvenirs and gifts. The bride and groom might be too busy to notice all the little details at the time and will want to see more of them later on. This entry was posted on Sunday, March 20th, 2011 at 10:16 am	and is filed under Articles, Event Photography, Photography Genre, Photography Tips, Wedding photography. You can follow any responses to this entry through the RSS 2.0 feed. You can leave a response, or trackback from your own site.